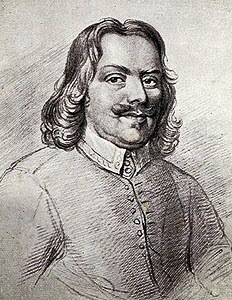 In his little book Saved by Grace on Ephesians 2:5 John Bunyan considers God's 'carriage' toward sinful men and women. How does he come to us? In what heart? What is the look on his face, the tone of his voice? God comes to the sinner while he is in his sins; he comes to him now, not in the heat and fire of his jealousy, but in the cool of the day, in unspeakable gentleness, mercy, pity, and bowels of love: not clothing himself with vengeance, but in a way of entreaty, and meekly beseeches the sinner to be reconciled to him. It is expected among men that he who gives the offense should be the first in seeking peace; but, sinner, betwixt God and man it is not so. God is the first that seeks peace. O sinner, will you not open? Behold, God the Father and his Son Jesus Christ stand both at the door of your heart, beseeching you to be reconciled to him, with promise to forgive all your sins if you will but comply. O grace! O amazing grace! To see a prince entreat a beggar to receive alms would be a strange sight; to see a king entreat the traitor to accept of mercy would be a stranger sight than that; but to see God entreat a sinner, to hear Christ say, 'I stand at the door and knock,' with a heart full and a heaven full of grace to bestow upon him that opens, this is such a sight as dazzles the eyes of angels. We are to look upon Jesus Christ hanging upon the cross as an equal arbiter between both parties, that takes upon himself whatever either party has against the other. Lo, here I hang, says Christ dying, and let the reproaches wherewith you reproach each other fall on me, the sting of them all fix in my flesh, and in my death die all together with me; lo, I die to pacify you both. Have then any of you something against each other? Quit it, and take me as a sacrifice in blood between you: only do not kill me and each other too, for the same offense; for you, and your enmities, have brought me to this altar of the cross, and I offer myself as your peace, and as your priest. Will you kill me first, and then one another too?